Q: When I form an LLC for my IRA, does it have to be a single member LLC or can spouses be equal members? A: Having a family member as an owner of the LLC could raise some prohibited transaction issues during the life of the investment. It is best to have a legal advisor guide you by looking at the situation and give their opinion on whether to proceed with that route. Q: Can you move funds from an active 401(k) account from current employer to an Entrust Self-Directed IRA account? A: 401(k) plans for active participants are subject to the employer’s rules under their plan. Most employer will not allow you to invest your 401(k) assets into an outside asset since they are responsible for those assets even if you were the one who is investing in it. Q: Can a spouse of the IRA holder do design work for the property (ie, determine kitchen layout, select fixtures, etc.)? Can they receive separate compensation for their work? A: Family members are considered disqualified persons. Lineal ascendants and descendants to be specific. Hiring your spouse would constitute a prohibited transaction. Q: Is financing available only for single family or is it available for commercial property as well? A: The type of property does not favor whether you can get a non-recourse loan to purchase it using your IRA. It really depends on whether the lender will underwrite the property. 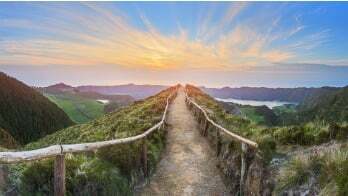 Q: Can a self-directed IRA be used if I want to flip the property? Is there any time limit before you can sale the house? A: You can use your property to flip houses, however, based on facts and circumstances on whether you flipping houses becomes considered as a trade or business will determine whether the gains from the transaction will be taxed or not. It is suggested to consult with your tax advisor. Q: Does the offer and the buy direction letter get submitted first to Entrust before being submitted to a seller? A: An offer is typically the first step with the IRA making the offer to purchase the property. The buy direction letter is initiated once the purchase agreement is accepted. Q: I have both a 401(k) and a Roth 401(k) with my previous company. Can I rollover my 401(k) to a self-directed traditional IRA and my Roth 401(k) to a self-directed Roth IRA to avoid paying extra tax? A: Yes, you may. It's called a direct rollover. Once you have established a Traditional IRA and Roth IRA, you will need to contact your prior employer to initiate the direct rollover. Q: Can you rent a self-directed real estate property to your brother or your sister and then get invited to use it for a week? Is this a prohibited transaction? A: A brother or sister is not considered a disqualified person therefore you can rent to them anytime. Q: What if you take a loss with your investment with negative cash flow? Can you take the loss on your current year taxes? A: No, since gains and losses on a tax deferred account are suppressed, they are not translated to your own personal income tax return. 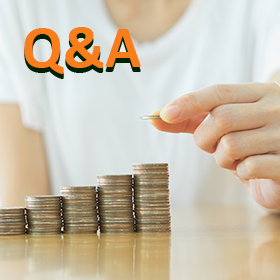 Q: Is there any cap whatsoever on how much you can contribute to your self-directed IRA in a 12-month period? A: The type of contribution you are making will determine the limits you can contribute. As an example: annual contributions for someone who is under the age of 50 has a cap of $5,500 per individual. IRS publication 590-A will provide such limits. Q: If you invest long term in an LLC that does property fixes & flips, is that interest subjected to UBIT? A: LLC income generated by an IRA-owned LLC is only taxable if the income is considered as income from a trade or business. This will be a good discussion with your tax advisor. Q: Would I be able to lend money from my self-directed IRA to other real estate investors? What will be the fee for these types of transactions? A: Yes, you may. Our Fee Disclosure will provide you with such fee. A free consultation can also give you more specifics on your transaction. Q: Does a partner need to be set up at the time of investment, or can a partner be added at a later stage in case the original IRA account run out of money due to incorrect budgeting? A: A partner can be added at any time as long as the partner is not a disqualified party. The industry appears to accept that partnering with a disqualified party will be acceptable only if is done during the initial transaction. We encourage our readers to post any additional questions regarding Real Estate IRAs in the comments section below so other readers may benefit from the answers. In addition, you can view the full recording of this webinar here to get answers to questions which are not listed in this article.